At SLP Autos our customer service team and skilled technicians are happy to assist local businesses with the maintenance of their commercial fleet of vehicles. 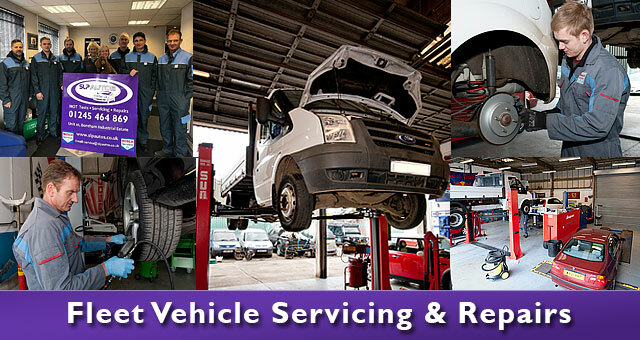 We can take care of all aspects of the servicing, repairs and maintenance of your company fleet. We realise that if your commercial fleet of vehicles are not out on the road, then your business is likely to be losing money. Preventing problems with your vehicles is always key, and with regular servicing and maintenance, we can help your business avoid the potentially catastrophic problems that can arise when a company vehicle breaks down unexpectedly. At SLP Autos we have taken a step further; we fully appreciate how demanding managing a fleet of company vehicles can be, and more importantly, what disruption it can cause to your business when something goes wrong with one of your vehicles. Our range of garage services for business operators can deal with all aspects of vehicle servicing, repairs and MOT testing for your company’s cars, vans, minibuses or light commercial vehicles. In the event of something unexpectedly going wrong; we are here to respond and will always endeavour to get your company vehicle back on the road as soon as possible. As a professional garage we offer a full range of services to help local businesses manage the maintenance of their fleet of commercial vehicles. Our customer service team are here to assist with your business’s operating requirements, schedule bookings for servicing and repairs, and where required, remind you when your vehicles require a service or an MOT test. At SLP Autos you can rest assured that you are dealing with a team of skilled technicians with over 18 years expertise and experience servicing and maintaining most makes and models of cars, vans, minibuses and light commercial vehicles. When our technicians perform a service or repairs they will always endeavor to preempt any further potential faults that may result in your vehicle being off the road. As part of our proactive commercial service we try to advise our clients in advance of their vehicles needing a service or MOT test, so that contingency plans can be made to avoid any disruption to your business. We realise your time is precious in a competitive world, so we offer a collection and return service within a four mile radius of our garages; depending on the extent and nature of the work required on your vehicle(s). We are also able to offer a courtesy car facility, to help keep your staff on the move and avoid any disruption to the daily activities of your business’s workforce. We work with many local businesses in Boreham, Chelmsford and surrounding areas in Essex to maintain their commercial fleet of vehicles. We have helped many businesses to reduce both their operating costs and any loss of business caused through breakdowns and problems with their fleet of vehicles. If you would like to discuss how we can help keep your business on the move, please contact our Customer Service team. Please complete your details and a member of our customer service team will contact you.